Adorned with nostalgic photos of the family through the generations, The Greek on Halifax has become a reputable name along the Southern end of the Adelaide CBD. Having recently undergone a massive revamp and completing 15 years of successful business, the fine folk at The Greek had me over, with a group of other influential people from the media industry. Each room within this quaint fine-dining restaurant offers customers with an interesting and unique perspective on viewing items. Ceilings are decorated in wine corks from bottles that were served at the restaurant, while others present with a more abstract view through upturned chairs. There’s always a surprise in every corner here! We were treated to a luncheon, which was complemented by the hospitality of the staff members and owners of this family-operated business. 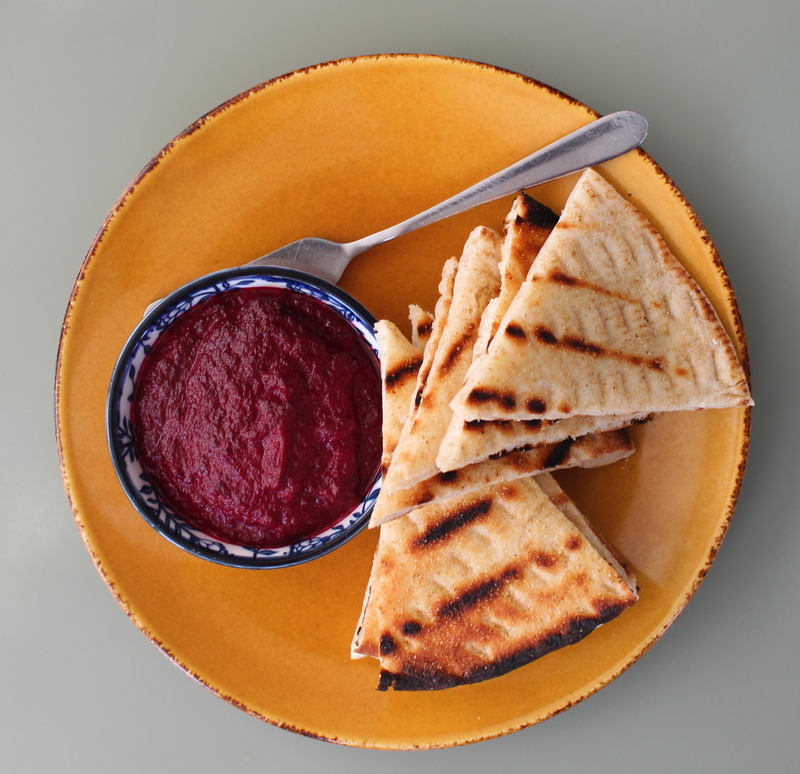 Recipes of the items on the menu bring together influences from the family’s ancestry from the islands of Rhodes and Kastellorizo, as well as neighbouring Cyprus. Easy on the palate, satisfying as an appetizer, and a great conversation starter with the rest of the table! 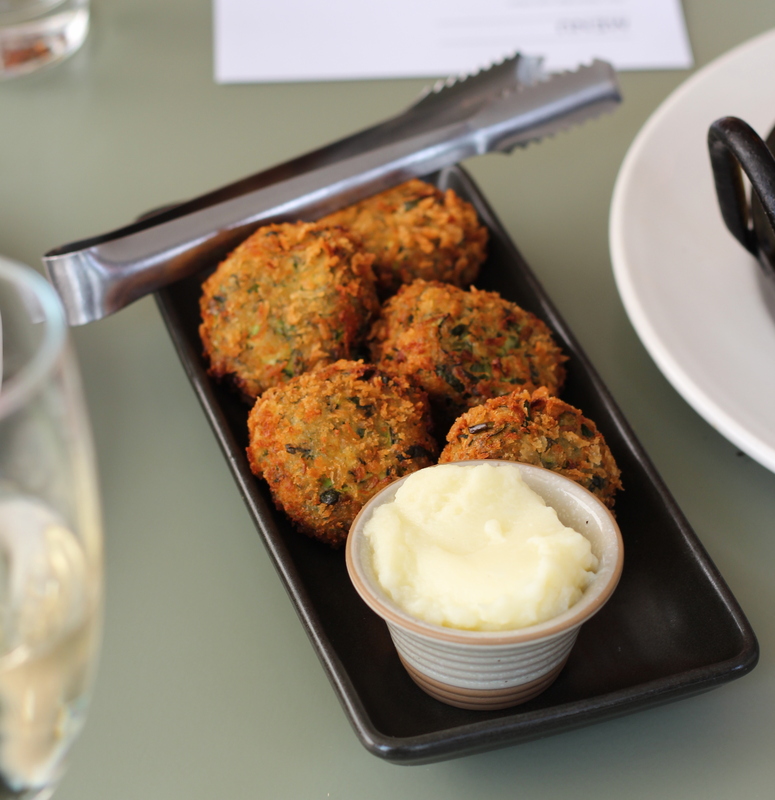 Next up, we tried the Krokettes – zucchini and cheese croquettes served alongside Skordalia dip. A brilliant balance between crunchy and soft, the croquettes are fluffy in texture and can be enjoyed just as much without the dip. The Sikotakia is a dish that is deceivingly scrumptious, despite the nature of the dish. Comprising of pan-fried chicken livers that are served with sautéed onions & wine, and served with grilled village bread, the dish had a great mix of sweet and sour. 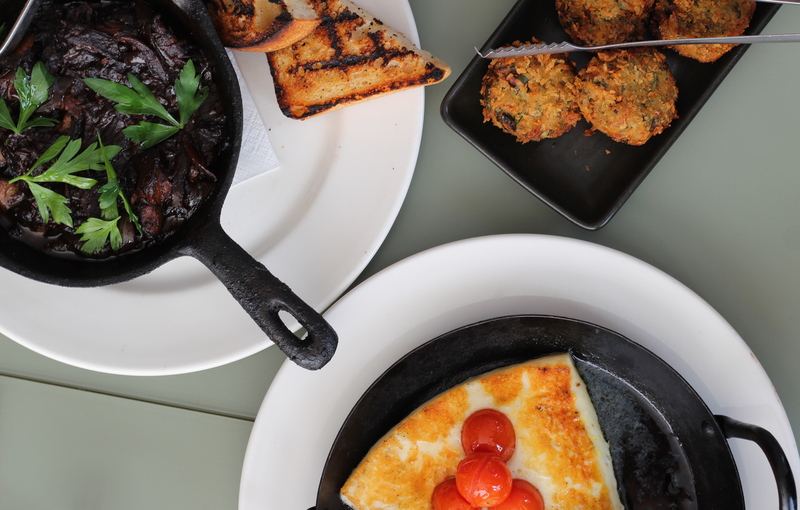 The Saganaki Kefalograviera is a dish that cheese lovers will not be able to look past! Pan-fried Cypriot cheese, roasted cherry tomatoes, lemon & olive oil provided my tastebuds with freshness from the tomatoes, citrusy tang from the lemon, and a sense of bitey flavour from the cheese. 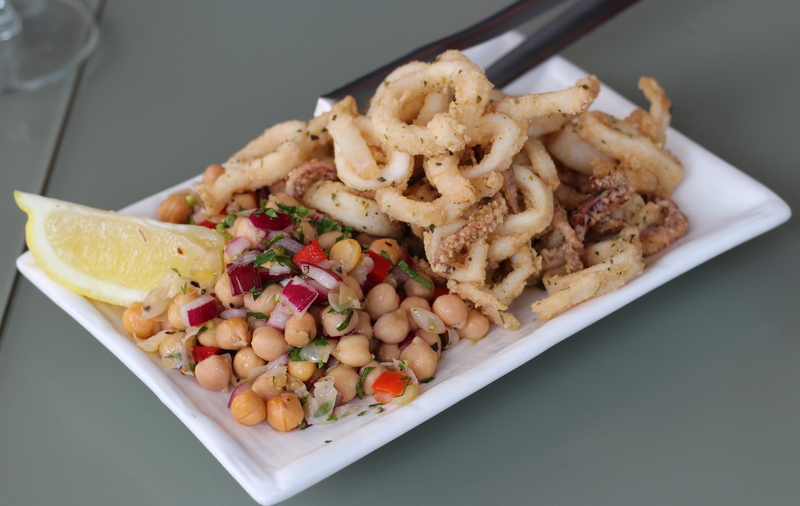 The Kalamari Tiganito comes with lightly fried calamari, served with a chickpea, capsicum, red onion & parsley salad. You have been warned: you will want to order more than 1 plate – the calamari had a crispy outer layer and had firm meat within that basically melted in my mouth with the 1st bite. 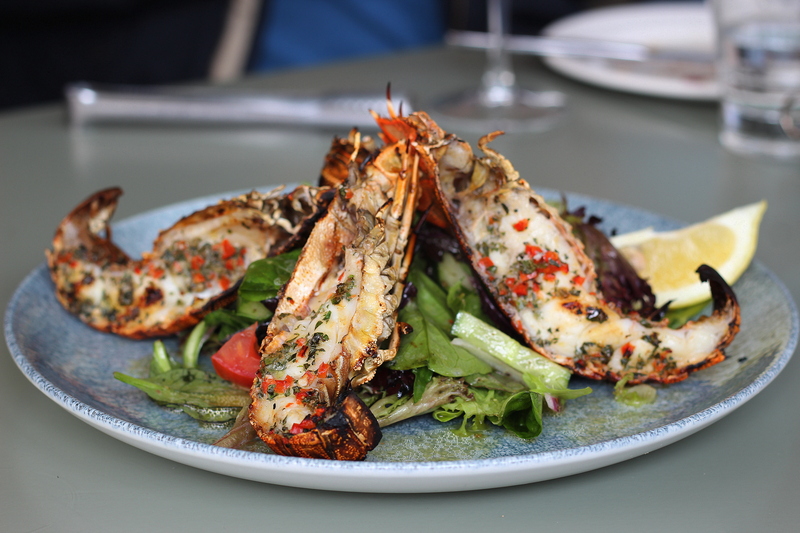 The Moreton Bay bugs were served with a herb, garlic, cucumber, mesculin & red onion salad. It was an interesting dish to get my head and hands around, the well-prepared meat was juicy and had a subtle smoky flavour, coupled with the fresh spices that the meat was cooked in. The Paithakia is the perfect dish to end your dining experience at The Greek on! 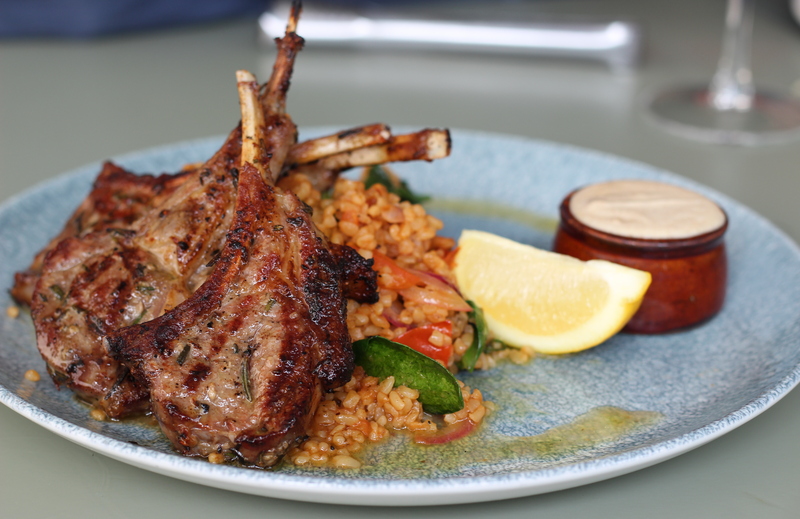 Served with a generous serving of chargrilled marinated lamb cutlets with couscous, the lamb cutlets presented with strong yet complementary flavours that gave the succulent meat just the right level of tang! Special thanks to Mercy Me Marketing for the invite, to Markus Hamence for hosting us, and to the team at The Greek on Halifax for their hospitality. Hey Alex! Thanks for the comment – can you help me understand better about what aspects seem complicated and extensive? If it’s the luncheon, then I think that is usually a one-off to allow guests to experience an array of items from their menu. Normally, I’d probably be full after 1 (or 2 dishes if I’m sharing the meals) dish, because their dishes are quite generous in sizing and portions. Hope this helps!